Social science has long studied how people participate in economic life, but most of that literature focuses on one sphere of the economy only: either the market economy where goods and services are produced and traded for money, or the household economy where services such as childcare and housework are provided for no pay, mostly by women. These spheres could not exist without each other – the market economy must have workers produced and sustained by households, and households must have incomes from market labor or assets – but they are often not studied in tandem. Most of the study of economics, including economic measurement, concerns itself with the market economy, where men’s production predominates. This chapter describes a methodology that brings the spheres together, to measure how we produce, consume, share, and save resources in both spheres simultaneously. 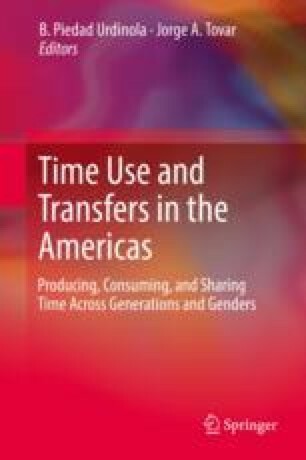 It combines the National Transfer Accounts method of studying market economic flows by age, with a new tool called National Time Transfer Accounts which studies household economic flows of unpaid care work by age. The results reveal how we live in gendered economies shaped by lifecycle processes of birth, death, and household formation.